Don’t limit yourself! Create a cost-effective moving billboard!! You can reach hundreds of thousands of viewers, at a lower cost per impression than any other form of advertising, with vehicle wraps and vehicle graphics. We have an experienced in-house design team that can take your ideas all the way to the final product. We offer full graphic design, printing and installation. Our vehicle wraps are durable, washable, removable and they won’t damage your vehicle’s factory paint. 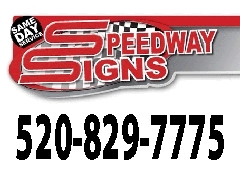 Speedway Signs in Tucson uses only the highest quality 3M vinyl and laminates. We design custom graphics to suit your needs. Call us today at 520-829-7775 for a free estimate. Multi-vehicle/fleet discounts are available. Speedway Signs will design, print and install high quality custom graphics to turn your car, truck, van or fleet into mobile advertising for your business. 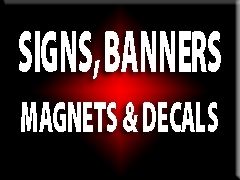 Display your brand all over Tucson with cost effective, quality advertising from the professionals at Speedway Signs. 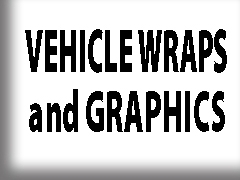 Check out or vehicle wrap and graphics portfolio!